Bombardier announced on June 15, 2015 that CSeries launch operator SWISS has converted 10 of its 30 firm orders for CS100 aircraft to the larger CS300 aircraft. The original purchase agreement for 30 CS100 aircraft was signed by Deutsche Lufthansa on SWISS’ behalf and was announced in 2009. Bombardier has booked orders and commitments for 603 C Series aircraft, which include firm orders for 243 aircraft. 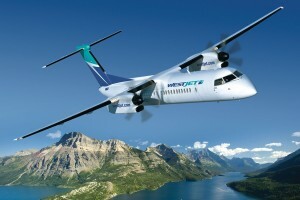 Bombardier announced on June 15, 2015 that WestJet Encore signed a firm order for five Q400 aircraft. The airline also signed a firm order for one Q400 aircraft in March 2015. These orders are conversions of options previously booked by the carrier’s parent company WestJet. Later this month, WestJet Encore will take delivery of the 500th Bombardier Q400 aircraft. Bombardier announced on June 14, 2015 that based on flight tests results, the CS100 and CS300 aircraft are exceeding their original targets for fuel burn, payload, range and airfield performance. The company also announced that the C Series aircraft are on track to meet noise performance targets. The C Series maximum range has been confirmed to be up to 3,300 NM (6,112 km), some 350 NM (648 km) more than originally targeted. The aircraft is also showing a greater than a 20% fuel burn advantage compared to other aircraft in its class, and a greater than 10% advantage compared to re-engined aircraft in its class. 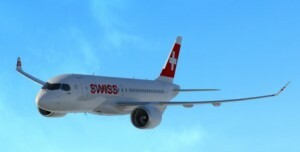 Bombardier and Swiss International Air Lines (SWISS) announced on May 7, 2015 that SWISS will be the first customer to take delivery and operate the CSeries aircraft when the CS100 aircraft enters service with the airline in the first half of 2016. Bombardier also confirmed that the CSeries will make its world debut at the International Paris Air Show being held at Le Bourget, France and will fly directly to Zürich, Switzerland in June as part of a demonstration tour. SWISS was previously announced as the launch customer for the CSeries aircraft program after parent Deutsche Lufthansa AG signed a firm purchase agreement in 2009 for 30 CS100 single-aisle aircraft to be operated by SWISS. Bombardier has booked orders and commitments for 603 CSeries aircraft, which include firm orders for 243 CSeries aircraft.